Archive for Come in and visit us at All Saints Dental and we can help you keep a healthy smile. Follow our 10 dental hygiene tips and you will be well on the way to a healthier mouth! Ideally, we should brush after every meal but aim to brush at least twice a day, and rinse with water if you can’t brush after a meal. Ask your Dentist or Hygienist for the correct technique too! Doesn’t matter how good your technique is with brushing food particles still accumulate between your teeth. We recommend flossing once a day to ensure all surfaces of your teeth are clean. Food and drinks should be free of added sugar as much as possible. Sugar in the food and drinks you consume feed the bacteria in the plaque on your teeth to produce acids. These acids attack the enamel on your teeth. So, limit your intake of sugary drinks and foods and rinse or brush after eating them if you can. Drink fluoridated tap water or plain milk instead of juices, cordial or soft drinks. Choose fresh fruit over dried fruit, cut out added sugar to tea and coffee and did you know that eating a piece of cheese after you have consumed sugary foods can assist with reversing the decay process? Limiting the number of times you put food into your mouth limits the amount of time your teeth are subject to acid attack. When you do eat between meals, try to choose snacks of fresh fruit, vegetables sticks, natural yoghurt, plain popcorn, soups or cheese instead of sugary snacks and rinse your mouth with water if you can’t brush your teeth. 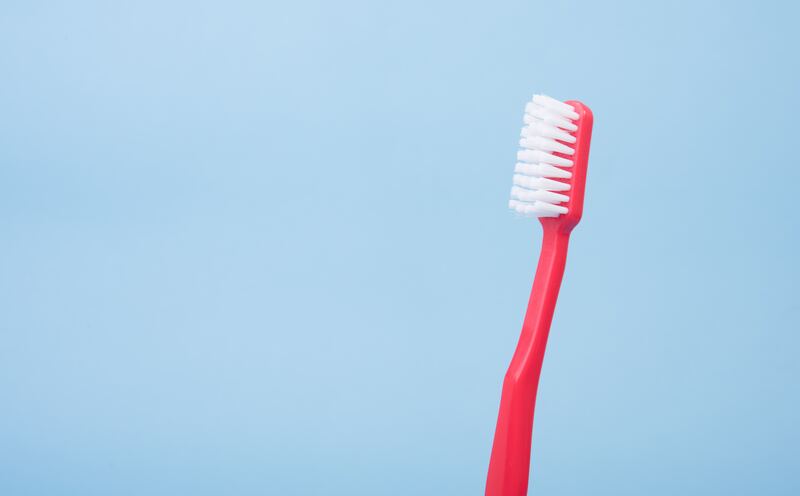 Manual or electric toothbrush is your choice however all toothbrush bristles deteriorate with time and usage so replace your toothbrush or electric toothbrush head regularly. When choosing a manual toothbrush a smaller head ensures you can easily reach your back teeth. Softer bristles are also kinder to your gums and teeth. Fluoride helps harden enamel and make it more resistant to tooth decay. Choose a low fluoride toothpaste for children under 6 and use only a tiny amount when they under three. The amount can increase to the size of a pea between 3 and 6. Cleaning your tongue not only helps to banish bacteria, it also helps to freshen your breath. Regular dental examinations help to identify problems early. Treating problems early may keep treatment and your out of pocket expenses smaller! Accidents and trauma can cause tooth fracture or tooth loss. Wearing a professionally fitted mouthguard while playing sport can help prevent or minimise damage to your teeth. You should avoid tobacco and other substances that are harmful for your teeth. Don’t open bottle tops with your teeth! Sucking your thumb, clenching your teeth and tongue thrusting can all be harmful to your teeth. You can consult your Dentist for appropriate treatment. Tags : Come in and visit us at All Saints Dental and we can help you keep a healthy smile. Follow our 10 dental hygiene tips and you will be well on the way to a healthier mouth!